I've got a nice green and white cruising chute for Gratitude. 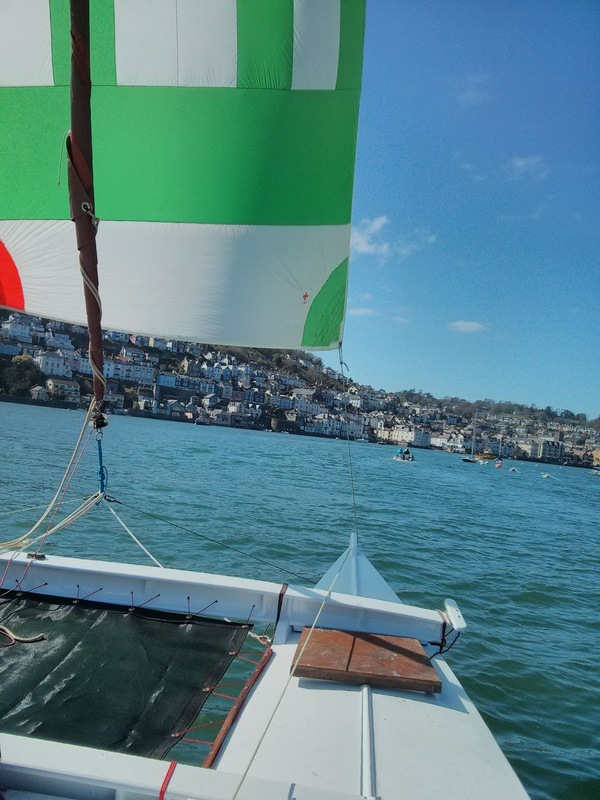 It works well down wind and I've always rigged it with the sheets running through the loops on the bows. 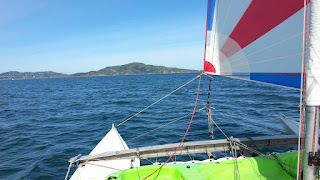 Recent I did a fun race with a dingy racing friend and we were running a bit off the wind with the main up. We were having some trouble keeping the luff from folding as the apparent wind came forward. Then my friend points out the chute is in fact slightly asymmetric. Now an asymmetric is a part of another plan, but for now, I'm thinking about improved rigging. Looking into this, I'm going to try rigging like Little Cat and like this Tiki 30. I've bought some new guy lines and some tie on blocks. I've made some soft shackles to connect the blocks to the loops on the boat's bows, and to connect the guys to the clew. 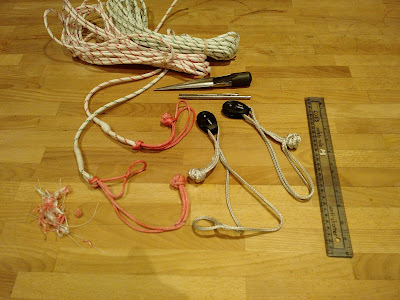 I've used to shackles to connect the guys, this way I can either connect both to the clew, or use one each side for direct down wind runs.